This isn’t the first time Lily Allen has made a comeback. Following her sophomore album It’s Not Me, It’s You, Allen announced a hiatus, releasing no new music for five years. It wasn’t until 2014 that Allen broke her silence with Sheezus, her poppiest album to date, spearheaded by woke empowerment anthem ‘Hard Out Here’ that called out society’s misogyny and double standards. Sheezus was a patchwork of styles and influences, flirting with country-pop one minute and serving up RnB slow jams the next, always interesting but occasionally incoherent. As the lyrics to the album’s title track revealed, Allen was acutely aware of the pressure of making a successful return. “Been here before, so I’m prepared / Not gonna lie though, I’m kinda scared,” she sang on the album’s first lines, an album that reintroduced Allen to the mainstream through a carefully crafted formula of public appearances and radio-friendly pop hits. A gig singing a Keane cover for the annual John Lewis Christmas ad ensured things got off to a bright start, cementing Allen back into the public’s consciousness and ensuring her comeback album fared well. And it did. Overall, the Sheezus era was a success, the album hitting number 1 in the UK and 12 in the US, thanks in part to the strength of the lead single, but also a considered marketing campaign designed at mainstream victory. But that was comeback number one. As we’re finding out, Allen’s second return will be very different. Lily Allen has always marched to the beat of her own drum, but never has this been more apparent than on her latest two tracks, her first in over three and a half years. Gone is the ska-pop, the country-pop and the calypso-pop, replaced by a grittier sound influenced by British grime and hip hop. The first of her new songs, ‘Trigger Bang’ is a frank discussion of drug addiction and modern celebrity, Allen putting her natural knack for intelligent wordplay and succinct lyricism to good use, the downbeat rhythm and no-frills arrangement adding a new edge to Allen’s sound. Following ‘Trigger Bang’, Allen still has her eye on the rap scene, hopping on afrobeat single ‘Heaven’s Gate’ by Nigerian artist Burna Boy. The two make for a solid pairing, Allen having cut her teeth on rap collaborations with the likes of Dizzee Rascal, Professor Green and Common. It would be incorrect to say Allen is stepping into new territory here, but rather that she’s simply returning to a sound she’s toyed with since day one. Only now, Allen isn’t playing. Allen’s decision to fully embrace the rap and grime sounds she’s long admired is telling. While it’s true grime is currently enjoying newfound mainstream success thanks to the likes of Stormzy and Skepta, it’s still a fairly fringe genre compared to the mega-sales of pop, dance and rock. That Allen has decided to abandon her pop credentials in favour of something more niche shows a disregard for commercial success, the linchpin of her early career. While Sheezus was aimed squarely at hitting the top 10, Allen’s new output has very different intentions. So why has Allen decided to sidestep the mainstream? Perhaps at 32 years-old, she no longer feels the need to validate herself with top 10s and magazine covers. And why should she? Since 2006, she’s enjoyed huge success, scoring handfuls of hits both at home and abroad, becoming part of the pop culture furniture. And by her own admission, trying to fit into the pop star lifestyle did her little favours, lumbering her with an eating disorder, drug problem and a long and distressing ordeal with a stalker. It’s no wonder Allen wants out of the toxic celebrity culture that made her famous, and with nothing left to prove to the media, her fans or herself, now feels like the perfect time to do it. 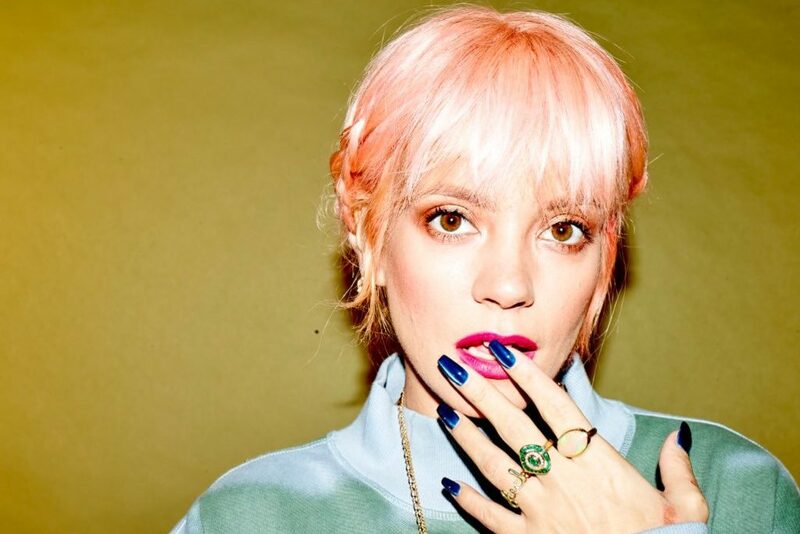 With her second comeback underway, Lily Allen feels like a woman transformed. Gone is the anxiety she described in the opening lines of ‘Sheezus’, the desire to appeal to the masses no longer at the forefront of her mind. Liberated from such expectations, she finds herself free to experiment, to express herself in purposeful and exciting new ways on her own terms. There’s no sign of pushy PR guys or clueless management reps, no cringe photo shoots or timely Christmas covers, just Allen making the music she likes without crippling industry pressure. With a new album due later this year, things are looking good for Lily Allen, an artist firmly in control of her own destiny.